Wyldewood Estates: This spectacular location offers more than just a great apartment for rent – it offers an exceptional lifestyle. Wyldewood Estates enjoys a park-like setting of lush grounds and green space in the neighbourhood of Acadia. A sprawling 14 acres encompasses 11 buildings – five are family buildings and six are adult exclusive. Private paths and a gorgeous garden gazebo are just the beginning of the leisure lifestyle. 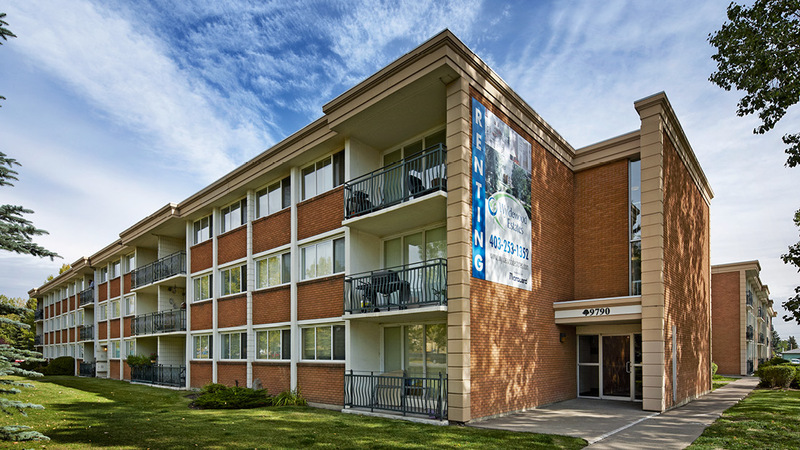 Wyldewood's large two and three bedroom suites offer private balconies. Featuring amenities like a fitness facility and a social room, it's a perfect complement to the vibrant surroundings, and an ideal place to call home.